Gardens History Art Sweets Japanese and Christianity Architecture Animals Christmas Toyosato-cho Flowers Food Kumano Road Festivals Hankai Trams Nanshuji Information Vories Event Torai-jin K-ON! 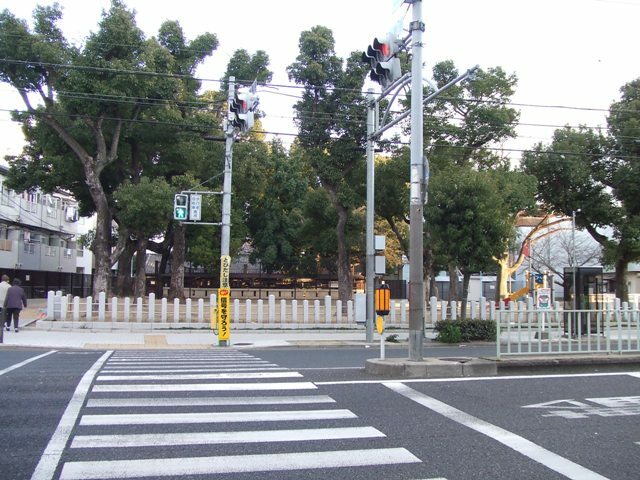 I introduced Abeno Shrine on July 13, 2011. 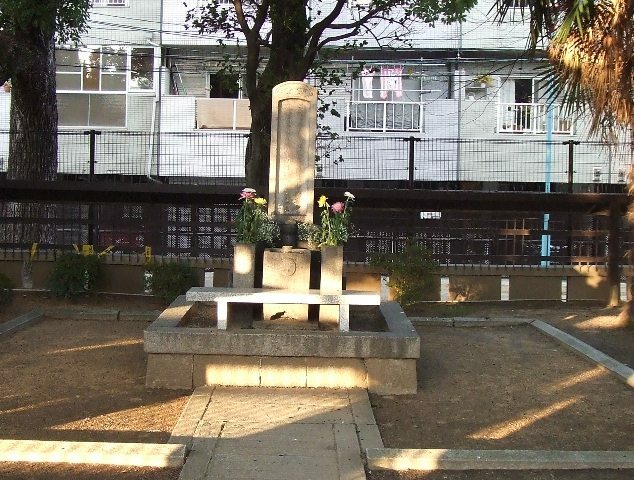 Kitabatake Akiie and his father Kitabatake Chikafusa are enshrined. They dedicated to Emperor Godaigo, and fought for South Court in 14th century. 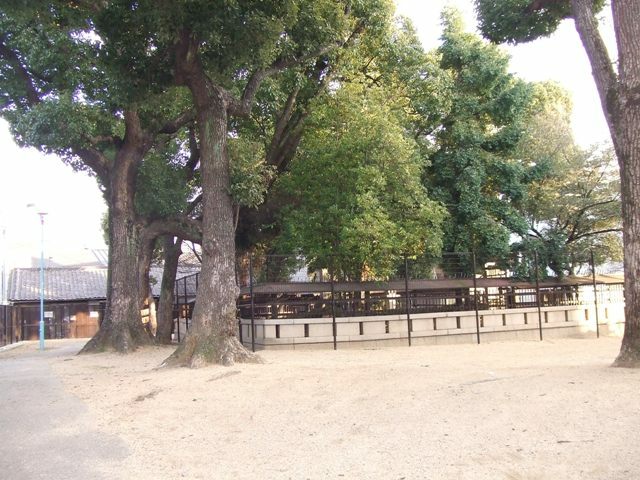 Kitabatake Park is a very small park. 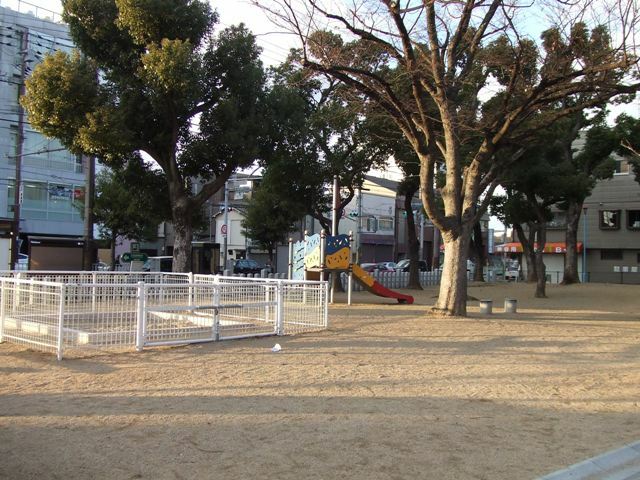 It’s on Abeno-suji, and is in southern part of Abeno-ku. 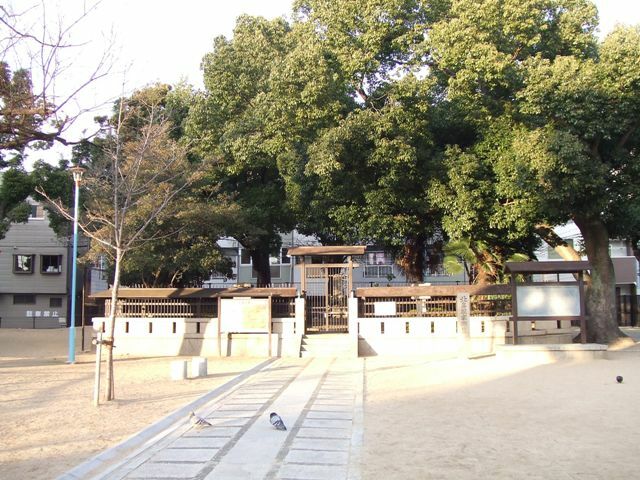 What is special about Kitabatake Park is there is Kitabatake Akiie’s tomb.